And since Donor Drives has the world’s largest supply of donor hard drives and PCBs, you can be sure that we will have just about whatever you need! If you're a frequent purchaser, you can also use your Donor Drives Rewards account to earn discounts off all the parts and tools you need. The new functionality facilitates the process of finding an appropriate donor for hard drives of all families. It is available in the “Utility Status” menu. The “Search Donor Drives” function initiates the read-out of the vendor-specific parameters (Model, Manufacturing Date, MicroJogs, ROM F/W version, etc.) from a patient drive using the technological mode of a relevant PC-3000 Utility. In addition to that, the PC-3000 user can input such parameters manually. All these parameters are further used for searching the appropriate donor drives. After you click the “Search” button, the PC-3000 Utility will open a new window of your Internet browser and will send a request with your parameters to the Inventory System. The external (DCM, Product of, Site Code, etc.) and internal (SN, MicroJogs, Headmaps, ROM F/W version, Hardware revision components, Adaptive parameters, Preamp info, etc.) parameters taken from the PC-3000 Utility are passed to the Donor Drives Search Engine, which delivers the search result within a second, showing the suitable parts for your patient drive. We will be expanding this partnership with ACE Laboratory further in the near future, to help data recovery professionals be even more efficient. 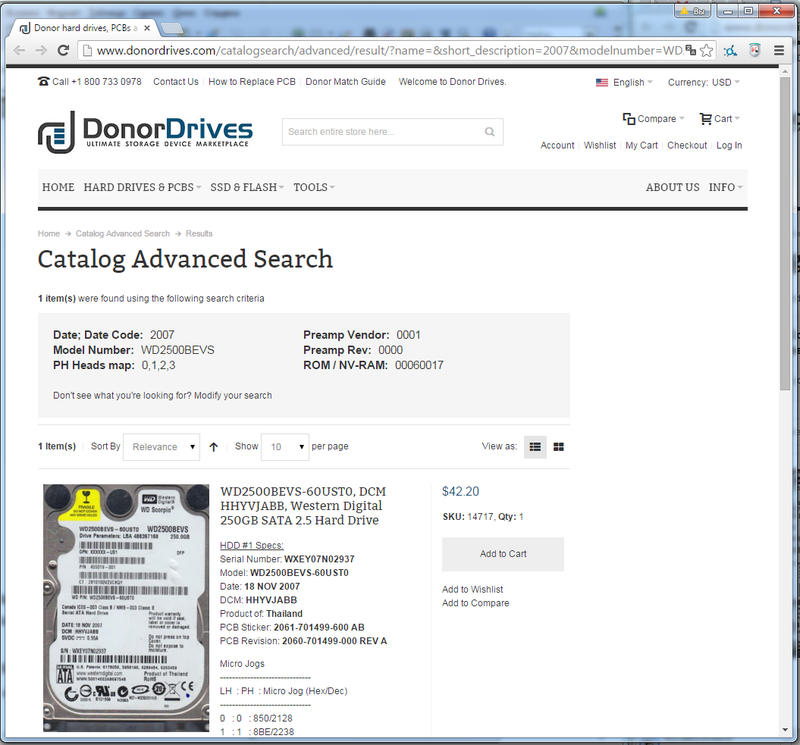 Soon, you’ll be able to list your surplus donor inventory on the Donor Drives site through the PC-3000 software to generate revenue for your extra hard drives. We look forward to more exciting announcements that will continue to change how the data recovery industry does business. How about also access to a fw data base?